Faced with archaic corporate cultures that demand we choose between a senior role and a balanced life it’s easy to feel dis-empowered. 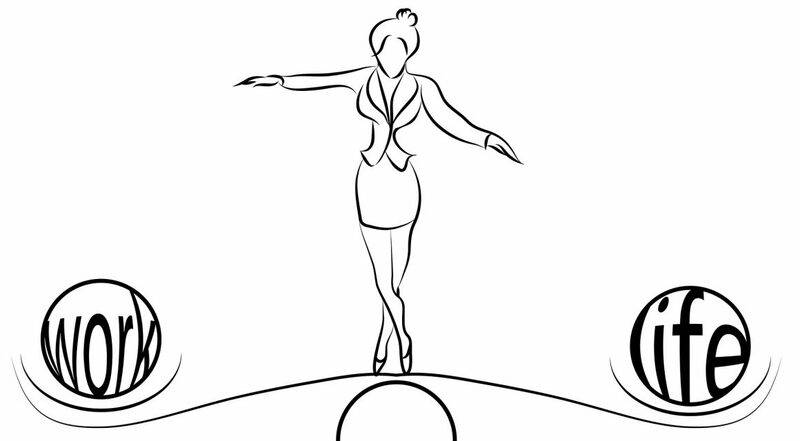 Many of us are juggling life to the max and balk at taking on the additional challenge of operating as a Balanced Leader. In our frustration it’s easy to give in to our limiting beliefs and lose sight of how much power we really have to change things. So let me remind you of the truth. We have the power to set our own boundaries. Healthy boundaries are essential for our own well-being and a precursor to good working relationships with others. I’ve written about boundaries before and make no apologies for doing so again – because this is where we begin to build our foundation for a balanced life. It’s not simply about ‘finding me time’ or ‘learning to say no’. It’s about understanding our preferences for managing the work/non-work interface and where our current priorities lie. And about negotiating to get our needs met in respectful, adult ways. and we do this by first recognising our value to our employer. For far too long flexible working has been seen as a favour granted by the organisation; and one for which we should be grateful. But let’s be clear about this. If the alternative to working flexibly is that you’ll have no option but to leave then your employer will suffer financially. Recruiting your replacement requires time and money. You have the power to identify the unique value you bring to your work and to develop a flexible working schedule that benefits both you and the people with whom you interact. and overcome our fears that asking for flexibility will be read as putting our families first so we appear ‘unprofessional’. (That’s called stereotype threat by the way.) Within a flexible and more balanced arrangement it’s still possible to be professional. Think about Accountants, Lawyers, Bankers and Doctors for example. These are all professions that have redefined themselves over the past fifty years. For the most part they’ve become more approachable and more human; and chatting about families with them doesn’t reduce their professional standing in our eyes. It’s easy to fall into the trap of experiencing our workplace structures as disempowering when we seek power outside ourselves. But when we dive deep into our inner qualities we discover we already have the power we need to rebalance our lives. And as we become more comfortable with accessing that power we also become the authentic leaders the world is looking for. We find the power to literally re-write our story: from one of undervalued skills and frustrated careers to one of pioneers with the courage to become Balanced Leaders. And we become role models that empower successive generations.